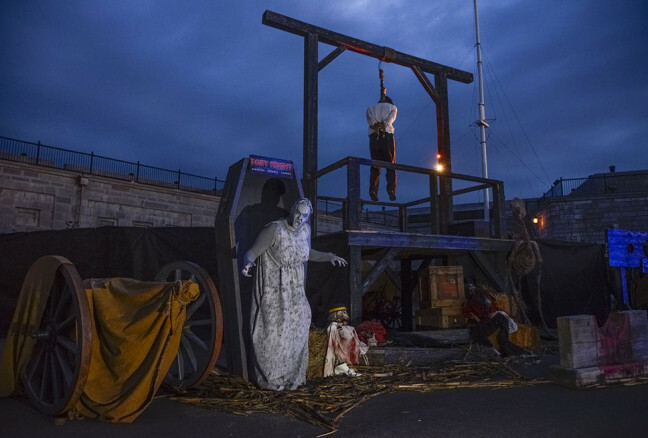 Fort Fright is bringing back the dead this fall, armed with brand new attractions, an army of scare actors and new technology guaranteed to have visitors shaking in their boots. Established in 2007, Fort Fright was designed to leverage Canada’s second most celebrated holiday, Halloween, while simultaneously bridging the gap for fall tourism events. While initially projected to attract around 4,000 visitors in its first year, Fort Fright exceeded expectations by over 150% and attracted over 10,000 brave souls. In the years following, Fort Fright quickly became the media darling of provincial and national news outlets and was named one of the Top 10 Haunted Houses in North America by Sunmedia, one of Canada’s Creepiest Halloween Places by the Huffington Post and the Best New Event out of 100 by Festivals and Events Ontario. 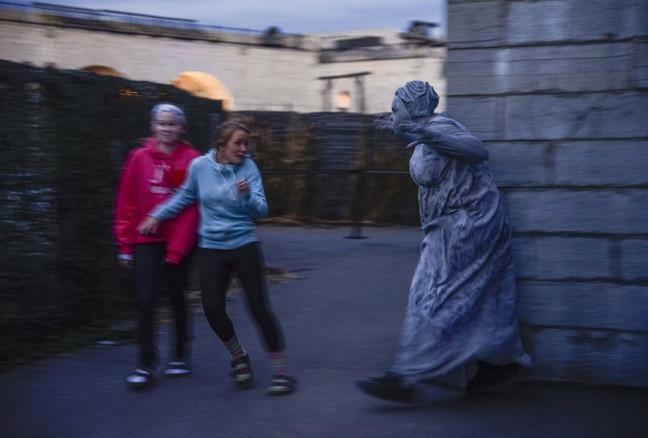 As the accolades poured in, it reaffirmed what Fort Fright team already knew: visitors love to be scared. Never ones to rest on their laurels, the team at Fort Fright refines and improves the attraction each year, ensuring that repeat guests never have the same hellish experience twice. 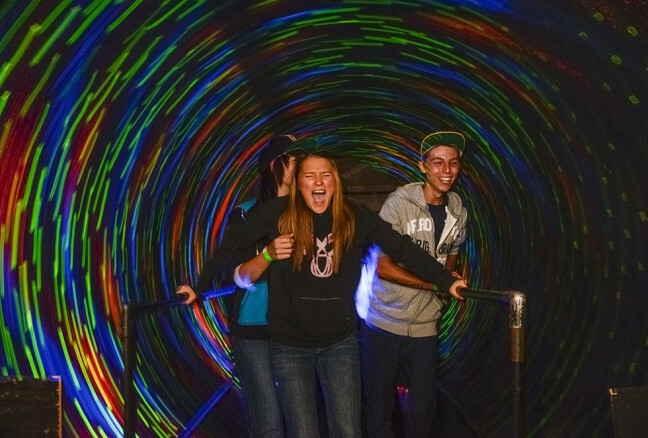 New this year is the addition of Hooded: Tunnel of Terror, a sensory experience inspired by the 1940 poem “A Butcher’s Tale of the Fort Henry Tunnel,” by famous Canadian poet and former Fort Henry guard, Watson Kirkconnell. The poem tells a story set at Fort Henry during internment operations during WWI from the perspective of the German prisoner experience of that time. Two German prisoners attempt to flee Fort Henry through a hidden tunnel, but once their torches are extinguished they realize escape isn’t as easy they had thought. The dark tunnel, infested with snakes, vermin, insects and spiders generates terrifying obstacles for them men, leaving only one to survive… and no one escapes. 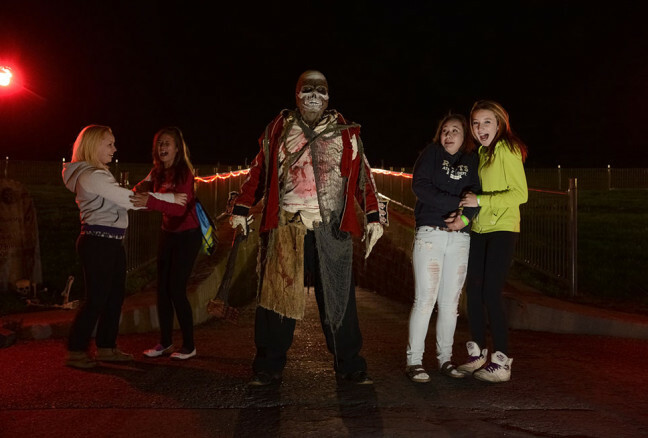 Visitors to Fort Fright this year can relive this terrifying experience by sporting a Fort Fright hood and be lead through a series of inimitable scares – shrouded in complete darkness. 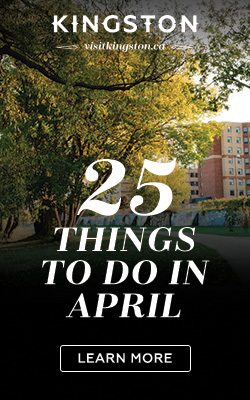 Other new experiences include but aren’t limited to the addition of more scare actors, an additional coffin ride to meet demand, some intense wall projections of zombies and some terrifying clowns. For parents, Fort Fright may not be suitable for children under 12. That said, you know your children best and should use your best judgement. Fort Fright does offer a zombie-proof amulet that can be worn by anyone and will ward off direct scares. Fort Fright runs from October 1 – 18 (Thursdays through Sundays from 7:00 – 10:00pm), and October 22 – November 1 (nightly). General admission is $16 (plus HST), with some additional fees of $5 applying to each the Hooded experience, coffin rides and the amulet. 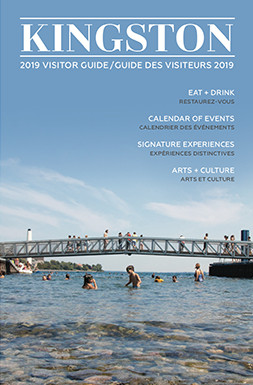 Make the trip to Kingston this year, and discover an experience unlike anything in the province.